Calcutta High Court has accepted an apolitical organisation's PIL seeking the dissolution of development boards for different communities in the hills, saying they discriminated against citizens based on caste and creed and no yardstick was followed in the formation of the bodies. Mamata Banerjee had announced boards for five communities, but the Gorkha Janmukti Morcha had alleged that the chief minister was adopting a "divide and rule policy" in the hills by doing this. The PIL was filed by Pravin Gurung, the general secretary of the Darjeeling Tarai Dooars Gorkhali Adhiwashi Welfare Society. 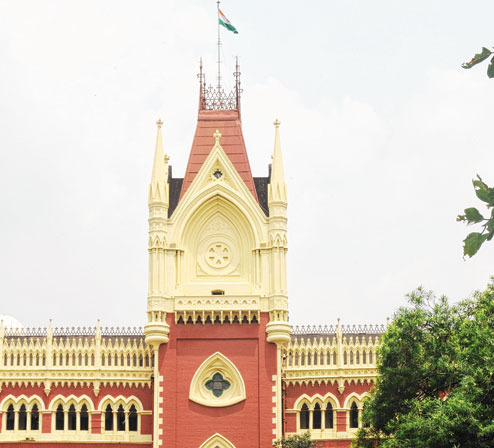 Speaking over phone from Calcutta, Anand Bhandari, the lawyer for the petitioner, said: "The divisional bench consisting of Chief Justice Manjula Chellur and Justice Arijit Banerjee is hearing the PIL and has directed the state government to file an affidavit-in-opposition in three weeks. The next hearing will take place after four weeks." The order to the government to file the affidavit was passed by the division bench on February 19. The court refused to pass an interim order stopping the distribution of funds to the development boards as demanded by the petitioner. State law minister Chandima Bhattacharya declined comment on the PIL. She said: "The matter is sub-judice. I cannot make any comment on the issue. But I can say what the chief minister is trying to do is for the welfare of Limbu and Rai communities." Pravin Gurung today said: "We believe the state government has discriminated against many communities. While some communities are getting benefits, others are being deprived of them. Moreover, the yardstick to grant a development board and funds too is not clear." Citing some examples, he said: "For instance, as per the 2011 census, literacy rate of the Bhutia and Limbu communities is 81.1 per cent and 87.8 per cent, respectively. However, the literacy rate of Lodha and Savar tribes is 45.5 per cent and 40.6 per cent, respectively. Although boards have been formed for Bhutias and Limbus, there is no such body for communities which are educationally backward." When the first board was formed for the Lepchas by Mamata, it was said that the boards would be apolitical cultural entities. But Morcha president Bimal Gurung had said development boards should be formed for all communities in the hills rather for a few of them. Gurung, as the GTA chief executive, also announced development boards for 19 communities in the hills. So far, development boards have been formed for Lepchas, Tamangs, Sherpas, Bhutia and Mangars. The chief minister has announced development boards for the Limbus and Rais as well, but they have not been formed. While Mangars and Rais are among Other Backward Classes (OBC), the rest of the communities that have been granted or promised boards are Schedule Tribes. Pravin Gurung said it was strange that communities whose population was dwindling were not granted development boards. "As per the 2011 census, the Tamangs population was 1,46,203, and a board was formed for them. But the population of Mru and Khond communities is only 196 and 660, respectively and still, no development body was offered to them," he said. "The Indian Constitution does not have provisions to provide preferential treatment to certain sections even among the STs. In Bengal, there are more than 40 communities which have been classified as STs but development boards have not been formed for all of them. Boards haven't been announced for other OBC sections and it is against the provisions of equality that is enshrined in the Constitution. There should be no discrimination based on caste and creed," said Gurung. Calcutta High Court has accepted an apolitical organisation's PIL seeking the dissolution of development boards for different communities in the hillsThe PIL was filed by Pravin Gurung, the general secretary of the Darjeeling Tarai Dooars Gorkhali Adhiwashi Welfare Society.